Never Be Separated from Your Phone Ever Again! 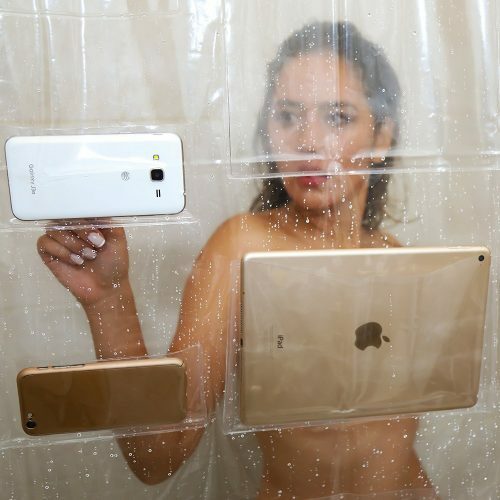 Now you can take hours in the shower without missing that last minute goal of your favorite football match! 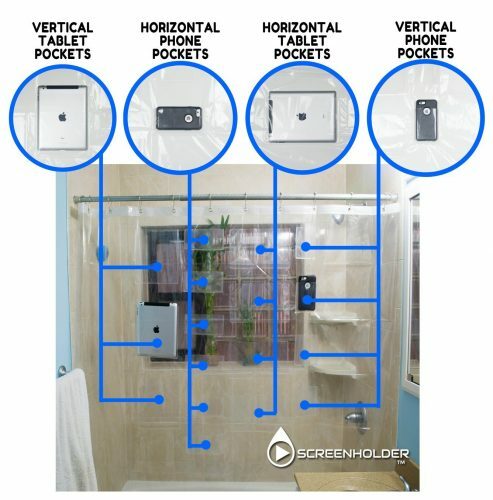 Screenhold’s Waterproof Shower Curtain allows you to interact with your smart devices with its touch sensitive function, with many pocket sizes giving your several options in regards to orientation and height. 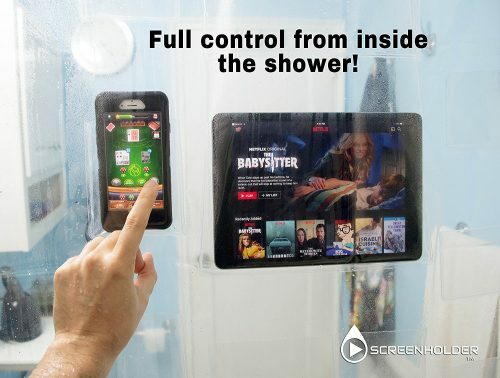 Simply pop your devices into the back pockets of the curtain and start surfing in the shower! You know you NEED one.